“I received energy work from Valarie Mckenzie while going through a traumatic experience that was causing me much anxiety...After just one session I felt completely different about the situation and felt completely neutral about it. It’s amazing how powerful her treatments are.. Highly recommend her to anyone who needs help with anything in life...” A. P.
"Thank you for the great session and for being there for me! I know that you are an angel to Me!" ~ Mike V.
Why are my friends mutually loving and supportive? The Journey Within PayPal page offers safe & secure online payments for services. 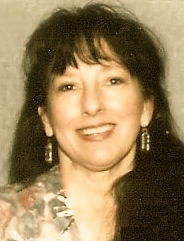 Valarie McKenzie has been in the Healing Arts field for over 30 years as Injury Care Therapist, a Doula (labor support) and 15 years with Energy Psychology treating patients by blending many techniques. She has harvested a wide abundance of tools, skills, techniques, knowledge and wisdom. Valarie’s focus with energy work started with cross/crawl techniques 40 years ago, along with Touch for Health, Polarity work, Reike, Hands of Light and Energy Medicine blending in Tai Chi and Qigong practices. Valarie is empathic, intuitive, and skillful. She can create a safe journey on your path to inner peace and joy, while freeing you from the bondages of thoughts/memories that may keep you a prisoner in your own mind. Valarie’s experience of blending techniques has been extremely effective with her clients with permanent results. She continues to expand in her knowledge with the latest, quick and effective tools to freedom from memories, experiences and patterns of limiting beliefs that hold us captive. Although there are countless roads to choose from, Valarie invites you to allow her to guide you along your journey.